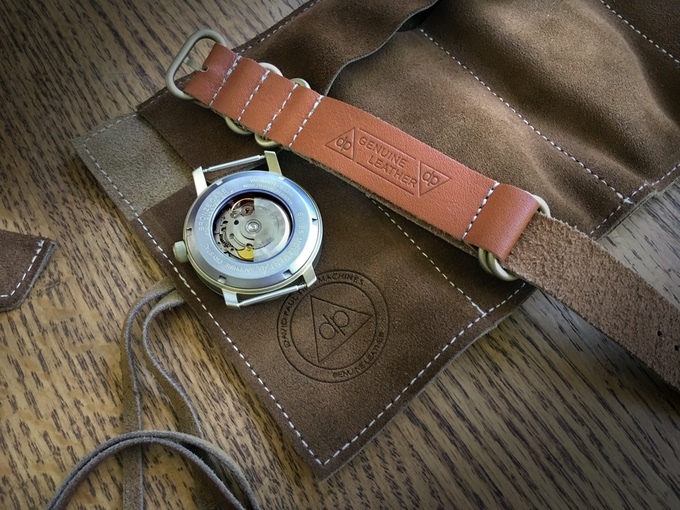 Australian newcomer David Paul Watches has just launched the DP-1 on Kickstarter. 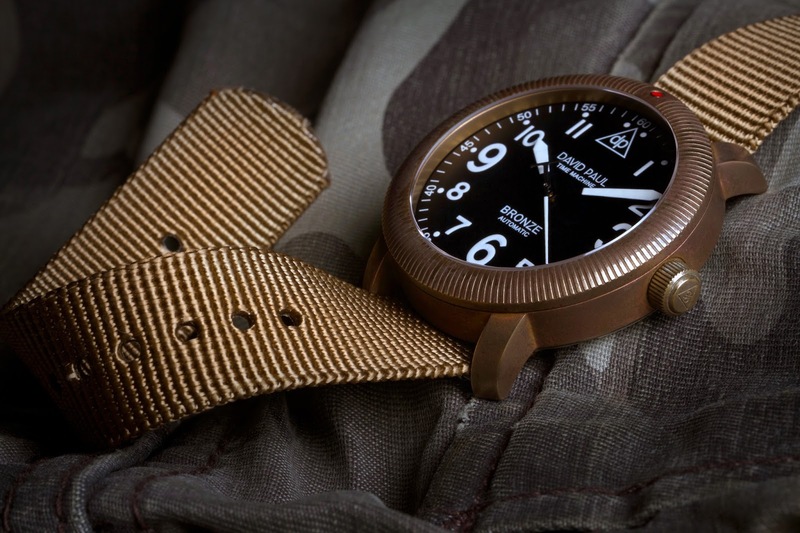 This 42mm bronze field watch features a double domed sapphire crystal, 200m water resistance, and a Swiss automatic movement. 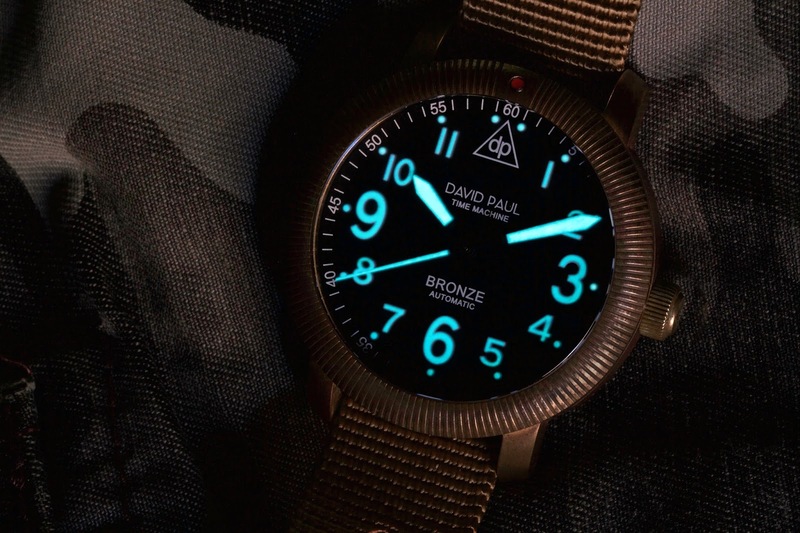 David Paul describes the watch as being inspired by mid-century military pieces and minimalist design. 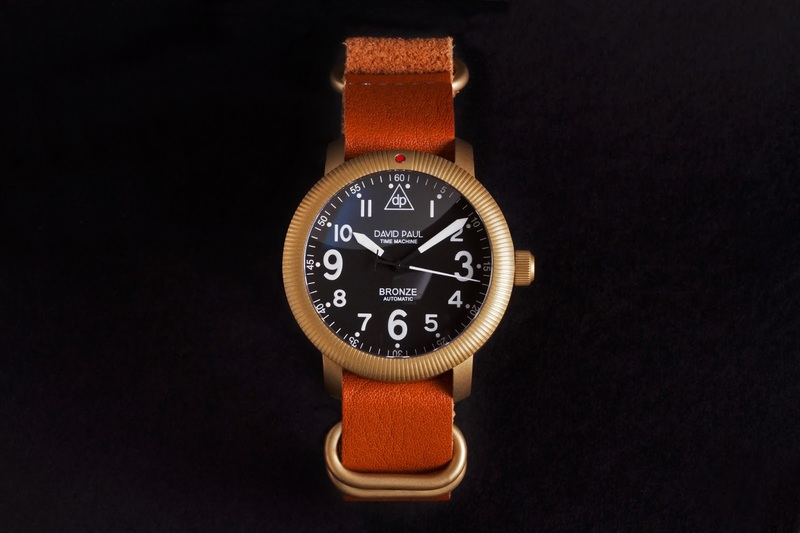 Affordable watch aficionados will notice similarities to the Lüm-Tec Combat, most notably in the fluted bezel and a military style face with sword hands and unequally sized numbers. The DP-1 replaces the 12 with a navigator's triangle containing the "dp" logo. I like the general layout but not the largely superfluous text and its generic typeface. 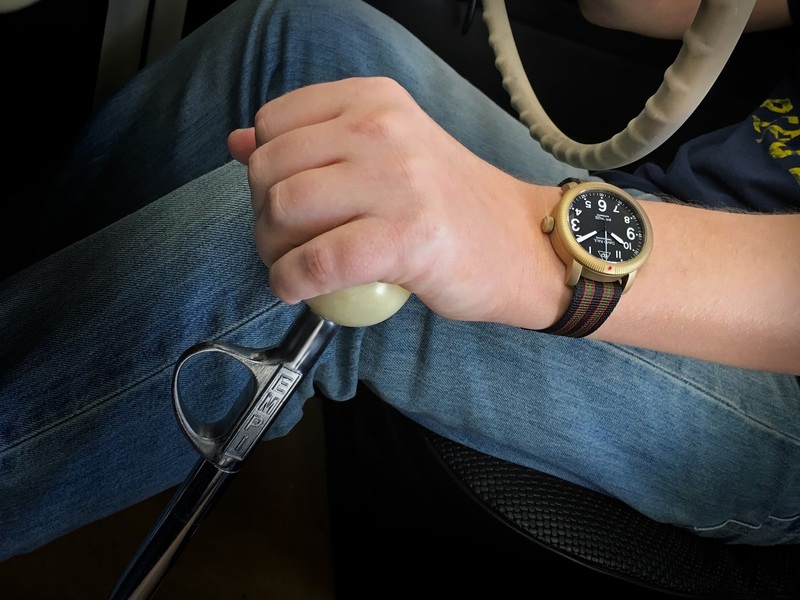 Fortunately, they offer a more attractive sterile dial as well. The case is bead blasted for a matte finish. 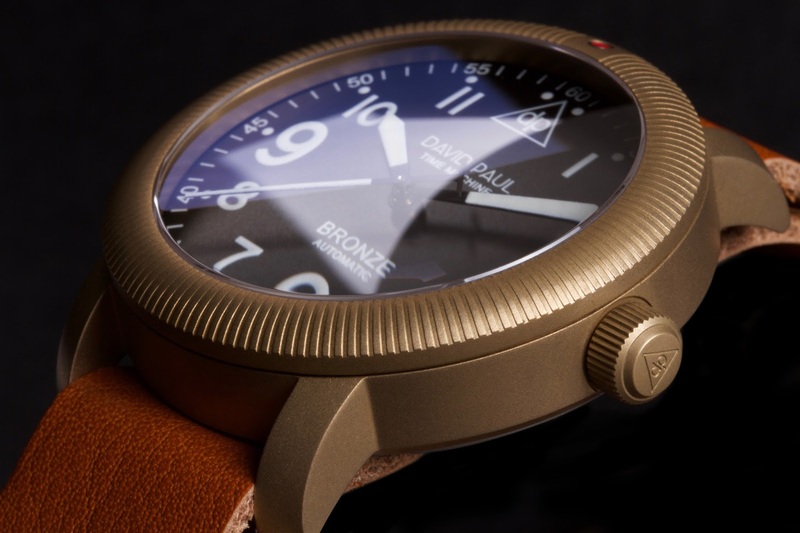 Being bronze, you can expect a distinctive brown patina to form as the watch is exposed to the air and elements. A red pip marks the top, but it is not luminous, which strikes me as an odd choice on a tool watch, especially since the dial markers and hands are treated with SuperLuminova. Behind an exhibition case back beats Sellita's popular SW200-1. This 26 jewel movement hacks, hand winds, and has a 38-hour power reserve. A 28.8k vibration rate provides a smooth second hand sweep.